Yikes! Break out the Time Machine Tony, because you should have started cutting that new lawn a while ago — when it first reached 4 inches in height. Taking off 1 inch to reduce a 4-inch high lawn down to the perfect 3 inches in height is the ideal schedule for lawns both new and old. Longhair lawns like yours stay much too wet, which can lead to serious disease and fugal problems. And experts also agree that letting turf grass get too high can greatly weaken it for the long term even if it doesn’t fall prey to disease. And you can’t try and fix this problem in a single run, as removing more than one-third of the plant in any one cutting can also stress your sod. You may have to look around for a special mower that can be jacked up really high. Then measure the average height of your grass and remove one-third, even if that still leaves it too high. Wait a week, remeasure, recut and you should be down close to normal. 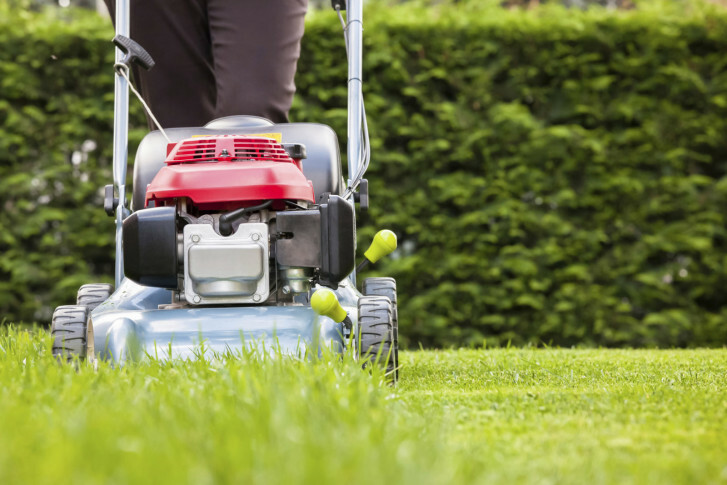 After that, follow the golden rule — when the lawn reaches 4 inches, mow the top inch off. Although rainwater is the best water for plants, it can cause timing problems when it wets the weekend, as one of the worst things you can do to a lawn is to mow it when it’s wet. Mowing a wet lawn tears up the individual blades of grass instead of cutting them cleanly across the top. Those ripped-up blades then can’t store water — which normally makes up 90 percent of their biomass — and so they turn brown and die during the next heat wave. And all the added water in the world can’t save those shredded blades. It’s better to let the lawn get a little too long than to mow it wet. Just a day’s worth of bright sunshine will dry the surface of the grass and make it easy for you to make a nice clean cut. Monday is the first official day of summer, and that’s a good time to begin following the “no feeding” rule for cool-season lawns in our area. Most D.C. area lawns are bluegrass and/or fescue. These “cool season grasses” originally come from the United Kingdom, where summers aren’t traditionally very hot. And the peak of our summer heat really stresses them. Although it seems like feeding would help, summer feedings just burn up cool-season lawns. So from now through the end of August, the only food you should give your lawn is the return of their clippings every time you mow. It’s not small change — those clippings are 10 percent nitrogen by weight. And that’s the perfect level of the perfect lawn food, delivered in a way that won’t toast your turf. Never cut your lawn when it’s wet. Wait a full day for it to dry out after rain. Keep your cutting blade sharp. A dull blade equals a browned out lawn. Bluegrass and fescue lawns should be 3 inches high after cutting. Lower cuts will cause bare spots and encourage weeds. Always leave the clippings on the lawn. They’re the perfect food for your turf especially if you have a mulching mower that really pulverizes those clippings into a fine powder. Don’t water if we’ve had an inch of rain that week. Water only in the morning, never in the evening, and never ever more than twice a week. Daily watering guarantees a terrible-looking lawn.